Korean, identical twins Chinhee and Sunhee Park are both psychic, mediums, empaths and energy healers. Born in Seoul, Korea, they were adopted by an Italian and Irish family at the age of two. Chinhee in Korean means “Big Heart” and Sunhee means “Full of Life”. Their two energies combined are enough to give one person a burst of positive, healing, and loving energies. Both Chinhee and Sunhee recognized their gifts of clairvoyance, empathy, telepathy, and mediumship at a young age. At 15, they both had the same dream of their mother dying from Cancer. Their prediction came true shortly after. At 19, the twins started to exercise more of their abilities within the entertainment industry. It was during this time that they were spotted in the streets of Manhattan by an NBA basketball player and talent agent. This talent agent sent them on auditions for small parts in Law & Order, MTV, TBS, Independent Films as psychics, Estee Lauder Shoot, Got Milk Twins, Marie Claire Magazine, Book of Twins, Time, People, and many other international magazines and newspapers. That was an amazing experience for these two small town girls. However, they found themselves more interested in what was taking place behind the scenes and as a result soon took over their agent’s business. This agent was amazed at their ability to know what actors or models were going to get booked for a specific project. At 21, they were considered the youngest talent managers in the industry and the only company who specialized with “ethnic” and “real” people. The twins also worked for a boutique business management firm that represented A-list celebrities such as Raquel Welch, Judy Collins, NBA Basketball Stars, actors/models/artists. They also did aerial photography by hanging out of a Robinson R22 helicopter without a door. They shot riots, celebrity weddings, news coverage, the O.J. case and so on. Sunhee worked with NY-1 News assisting the Celebrity reporter for high society events, and movie premieres while Chinhee was at Paramount Pictures helping Don Johnson in casting his t.v. series. Their path took them to where they are today in the spiritual world. Chinhee and Sunhee’s NY Reading Style is direct, and to the point. They can read people from all walks of life. They have done phone sessions, live sessions, private parties, corporate parties, galleries, and lectures. Distance makes no difference, and both can help clients understand the “energies” you feel and show you how to organize your own abilities. Whether it is through advising on life’s issues, feeling a clients ailments or intuitively being able to communicate what will help a person in all different situations, the twins have a therapeutic touch. 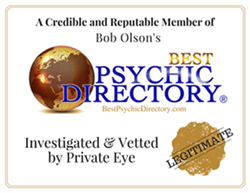 They also specialize in psychometrics, mediumship and energy healing. They psychically get to the root of your issues to begin the “healing process”. Often complementing one another, they are like ying to yang sometimes, as they keep it real while making people laugh and cry for the healing process to begin. Old souls with youthful sounding voices, others can be deceived by how old they are and how long they have both been in the psychic business. Both have worked as psychic healers for over 17 years. At the core of everything they aim to accomplish is a desire to express to the world that everyone has a creative and psychic side to them, and their readings dig deep into the spirit and get to the root of issues that opens up to a “healing process”. Possessing huge hearts, both twins are inspired to support and / or donate towards various charities and worthy causes. Such causes that have received the most of their attention and efforts are the Breast Cancer Site, and various Animal shelters for dogs that need medical attention. They’ve worked with mentally and physically handicapped children all of their lives and have helped with fundraising towards the Special Olympics. They’ve also done the same for sexually abused men, women and children. “We love to give. We help and encourage these people to have hope and to go after their dreams because life really can be beautiful! We want to share our gift with as many people as possible. They help gloom and doom stories sound more positive for change. Their mission is one thing: To heal one soul at a time. Signed with VICE Productions for a paranormal tv show, filming a documentary on their lives as Korean, adopted, psychic twin, medium healers in Los Angeles 2019. Ukraines Battle of the Psychics, made top 12, offered contract role. Cover of American Psychic Magazine and featured on over 30 books and a psychic encyclopedia WORLDWIDE. Past production companies, Leopard films, Tacklebox films, Irwin Entertainment, Breakthrough Entertainment. www.ESPsychics.com is the brand new, unique website Chinhee & Sunhee just launched with partners Bettina Tendler O’mara.